BitGo has hired Richard J. Corcoran, a long-time veteran of the trust company industry, to head the crypto security startup’s institutional custody business. Announced Thursday, Corcoran will oversee billions of dollars in value as CEO of a recently formed division called BitGo Trust Company, one of a growing field of crypto custodians courting hedge funds, family offices and mutual funds as clients. “I understand the regulatory requirements and how to comply with those standards and maintain compliance as we serve customers,” Corcoran told CoinDesk, adding that the first big-ticket clients are now being on-boarded. Indeed, Corcoran is especially familiar with the requirements of South Dakota, which granted BitGo a trust company license earlier this year, allowing the firm to hold cryptocurrency on behalf of institutional investors. He retired from First National Bank in Sioux Falls, South Dakota, in 2016, after 25 years leading its trust department. That same year he met Mike Belshe, BitGo’s CEO. Stepping back, institutional investors are generally required by U.S. law to use qualified custodians rather than safekeep assets themselves. Although banks and broker-dealers can act as qualified custodians, the state trust company license has proved popular among crypto specialists such as BitGo, Kingdom Trust (which is also registered in South Dakota) and Coinbase (which set up a regulated trust company in New York this year). South Dakota is “if not the top, one of the top trust jurisdictions in the country, and that’s because of our very favourable trust laws and the manner in which we monitor these laws,” said Corcoran, who served on the South Dakota Governor’s Task Force on Trust Administration and Reform. “When I came here in 1979 there were a total of 12 trust institutions; now there are over 100 independent trust companies alone here,” he added. 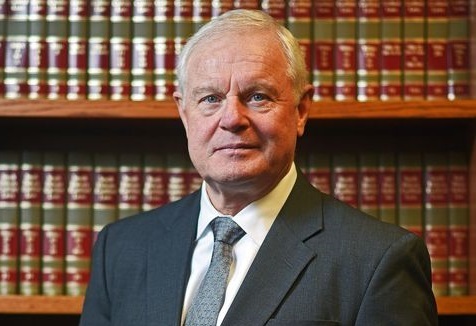 An attorney by training who reportedly helped draft more than half a dozen statutes, Corcoran explained that being a chartered trust company in South Dakota involves certain basic requirements. These, he said, include governance structure and accountability; compliance with the Bank Secrecy Act’s anti-money-laundering strictures; insurance coverage; periodic external audits; and capital reserve levels. “From a banking standards view, I think we would be considered well capitalized,” he said. BitGo CEO Mike Belshe at Consensus: Invest 2018, image via CoinDesk archives.